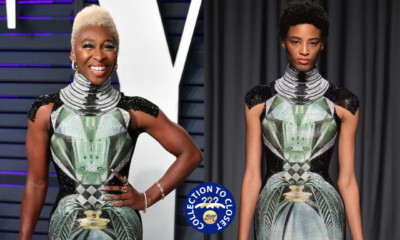 We have a fabulous edition of BN Collection to Closet – our style feature where we show love to African fashion designers, by shining a light on those who #BuyAfrican. 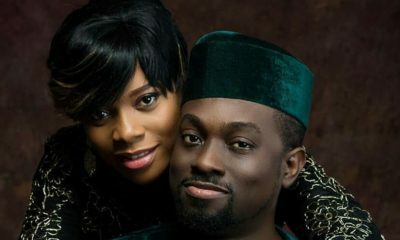 For this edition, we have the age-defying actress, Abiola Segun-Williams in a beautiful Meena dress. Nigerian womenswear fashion label, Meena, always wins the heart of many with its structured pieces that give off a sense of glam and eccentricity. The brand, owned by Uju Offiah, first started operation in 2010 with its “Silver Shadow” collection which was debuted at the Leila Flower store in Victoria Island, Lagos. With expertise garnered from the tutelage of veteran designer, Ituen Basi, the designer has been delivering amazing ready-to-wear pieces with added flare. Meena went on to showcase at the MTN Lagos Fashion & Design Week of 2012 & GTBank Lagos Fashion & Design Week 2014, Arise Magazine’s Fashion Week of 2012 and more. With over 5 years of experience, it has become a fave for Nigerian celebs like Genevieve Nnaji, Agbani Darego, Kemi Akindoju and most recently, Abiola Segun-Williams. 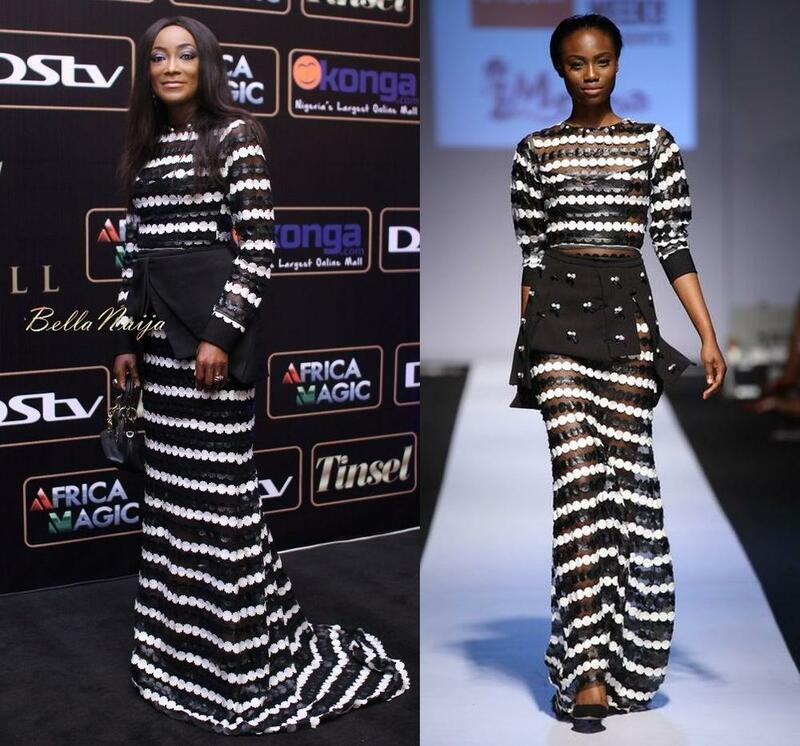 The veteran actress and Tinsel star wore a piece from the fashion brand’s “Muted Ways” collection debuted this year featuring MBGN Tourism 2015 – Chinyere Adogu. Click here if you missed the fab collection. 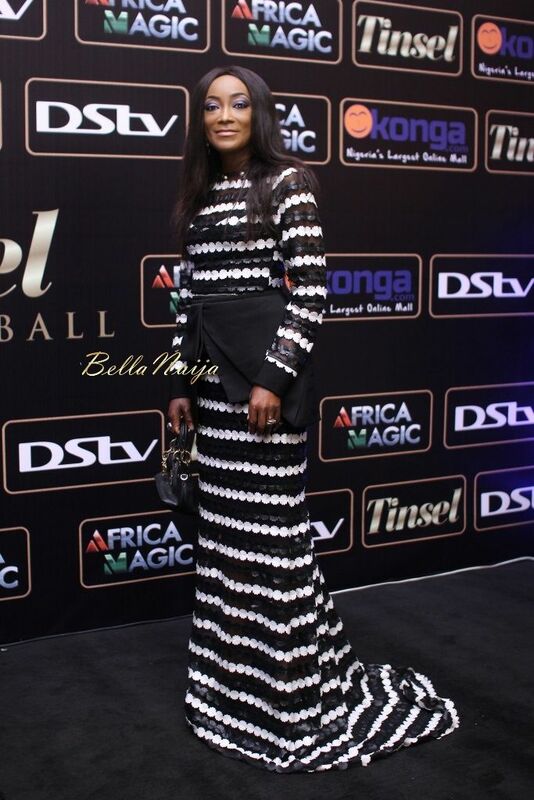 Abiola Segun-Williams wore a dazzling dress made from black & white sheer fabric. It also features long sleeves and a flowing train. The dress, which is usually quite revealing at the bottom, seems to have been layered for a more modest look. Her hair was simple with a centre part, and beautiful makeup featuring statement eyes. She completed her look with a small tote bag and gold accessories. Her hair spoilt it for me. Here’s where red lipstick would have looked so good.